The Samsung Galaxy S10 comes with several exciting features, such as in-display fingerprint sensor, new camera features and more. However, one interesting and useful feature that hasn’t received much attention is the Galaxy S10 reverse wireless charging feature or the Wireless PowerShare as Samsung calls it. Wireless PowerShare – what it is? Samsung’s Galaxy S10 reverse wireless charging feature allows you to use the Galaxy S10 or S10+ or S10e to charge other devices wirelessly. The devices that you can wirelessly charge are Galaxy Buds, different phones and more. 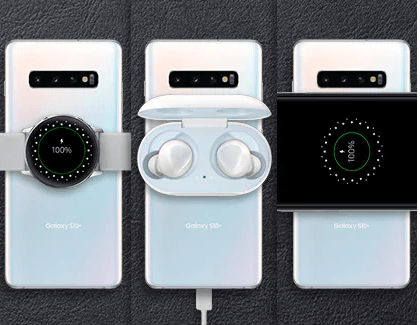 Basically, the Galaxy S10 devices can charge Qi-certified devices, such as a wireless charger or Qi-enabled wearable devices. “With the new Wireless PowerShare feature, your Galaxy S10 can share its power to help charge another phone or watch. 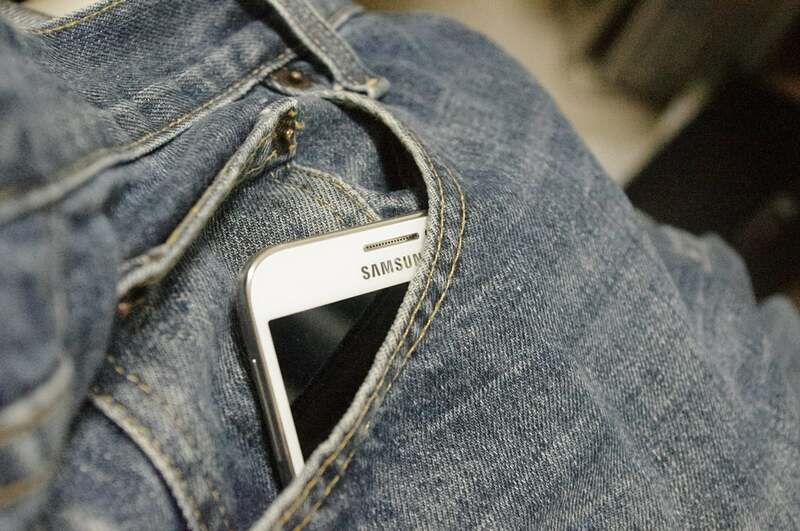 All you need to do is place the two devices together,” Samsung says. This feature, however, has a limitation. Since the device only sports 3,100mAh/4,100mAh batteries, the reverse wireless charging may not be so useful, as the device itself will need charging if it charges another device for too long. There is one respite, i.e., the Galaxy S10 supports Fast Wireless Charging 2.0 at 12W. This, according to Samsung, is 33% faster than the Fast Wireless Charging 1.0. Also, Samsung has put in place a cut-off. To charge these devices, your Galaxy S10 must have at least 30% charge itself. So, this means that Samsung’s threshold in place stops charging the devices wirelessly when the phone is at 30%. This feature will ensure that your Galaxy S10 does not run out of juice when it is busy charging other devices. This is not the first time a smartphone has been fitted with the wireless charging feature. Prior to the Galaxy S10, Huawei added the same tech to its Mate 20 Pro. However, those who tested the feature on the two smartphones found the S10 feature to be faster. How to use the Galaxy S10 reverse wireless charging feature? It is quite easy to use the Galaxy S10 reverse wireless charging feature. To use it, first go to the main display and then pull down the Settings menu from the top of the screen. Now search for the Wireless PowerShare icon. If somehow, it is not there, click on the Menu icon at the top right of the screen. Next, click on the “Order” button to add the Wireless PowerShare icon. Now click on the Wireless PowerShare icon. You will now notice that the icon will turn blue, which means the phone is now ready to charge other devices wirelessly. To wirelessly charge other devices, place your Galaxy S10 with the back facing up. Now put your Qi supported devices, such as Galaxy Buds, Galaxy Watch and any other compatible device, on the back of the phone. The positioning of the devices matters a lot, so always remember to keep the smartphones back-to-back. The charging may stop if you put the devices diagonally. You will get a popup notification and hear a chime when the charging starts. To check the charging status, touch the notification in the Notification Panel. Once you are done with the reverse charging of the devices, take them off the phone and switch off the Wireless PowerShare by clicking “Cancel” at the bottom. What if your device is not charging? In case your Qi-based device is not getting charged after placing it on the back of the Galaxy S10, there are a few workarounds that you can try. First, make sure that your Galaxy S10 is charged enough. The Wireless PowerShare feature won’t work if the device is less than 30% charged. Also, if the smartphone that you are reverse charging is not getting charged, then try by removing its cover or case. Using PowerShare will drain the battery of your Galaxy S10 faster than usual. On average, the phone will lose about 25% battery an hour.